SCHOTT POLY Solar Modules SCHOTT Solar is a world leader in the photovoltaic industry with more than 50 years of experience in the development and production of quality components for solar applications. The company has been in business for 125 years. The polycrystalline cells within each module are sorted to narrow performance tolerances, thereby allowing series interconnections with minimal mismatch losses. SCHOTT bulk packs modules to reduce job site waste and disposal costs. Available with black or clear anodized frames, SCHOTT modules have PV Wire type cables for use with transformerless inverters. 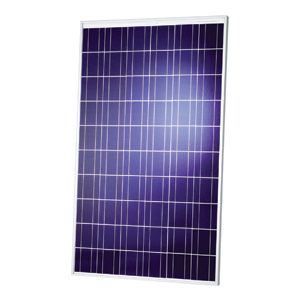 Output ToleranceSCHOTT Solar POLY modules are among the industry leaders in power output tolerances. Produced in a facility in Albuquerque, NM, these modules are available in 4 wattages, with minus 0 watts output tolerance. This provides for a stable, high-energy output.